Biofilm Control is fundamental to many heat transfer and corrosion solutions. Transform standard water treatment programs into Biofilm Control Programs (BCP™) by including AMSA BCP™ chemistries. BCP™ chemistry along with biocides provide an effective Biofilm Control Program (BCP™). DTEA II™-containing products are now sold under the BCP™ series names. 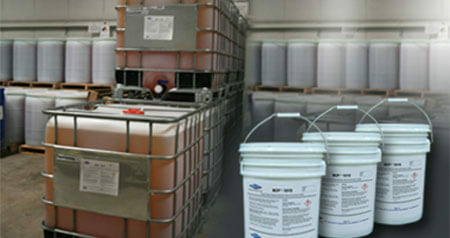 AMSA Chemistry is an effective organic deposit penetrant, dispersant and cleaner, especially in cooling water systems. It is designed to penetrate and release biofilm that adheres to surfaces, and maintain system cleanliness when used as a part of a routine treatment program. In a system with elemental sulfur deposits, DTEA II™ attacks the deposits, causing disaggregation and release of the deposits from system surfaces. Routine dosing of BCP™ 5000 products results in an effective sulfur control program. AMSA, Inc. is a specialty chemical manufacturer producing products for industrial cooling water treatment programs. AMSA chemistry is a leading biodispersant used in biofilm control programs. Liquid products are used in slug (clean-up), semi-continuous (maintenance), or continuous modes (maintenance) in both small and large sized water cooling/process water systems. AMSA also specializes in solid slow release tablets which last about one month in small cooling tower applications. AMSA chemistry can be used in traditional scale & corrosion all-one-drum formulas. Do your water treatment programs contain a biodispersant to maximize biofilm control? Are the surfaces in your cooling water systems free of organic deposits? Do your water treatment programs deliver maximum cooling efficiency? Do your cooling tower chemical programs protect your metal surfaces from microbial influenced corrosion (MIC)? Do you have good microbial control in your cooling water systems? If you answered "no" to any of these questions, you may consider using AMSA BCP™ chemistry. Watch AMSA's "Biofouling Control in Industrial Water Systems" video, above, and learn how to achieve an effective Biofilm Control Program! The DTEA II™ solid slow release tablets are an ideal ‘do it yourself’ water treatment program for keeping small cooling towers clean. The tablets are especially convenient for comfort cooling towers located on a rooftop. 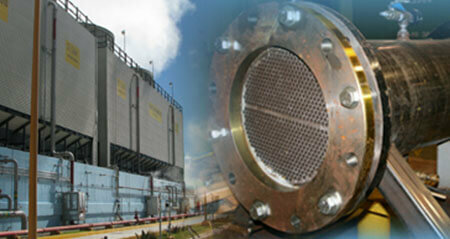 DTEA II™ has become a cornerstone of cooling tower biofouling control. As a biodispersant, DTEA II™ has helped us to maintain excellent control of algae, fungus, and bacteria, especially when paired with a microbiocide. The DTEA II™ SR Plus SC tablets have been an excellent solution for control of organic and corrosion issues in small to medium towers. The ability to add a single tablet to a small basin once a month has meant a reduction in maintenance concerns and time spent treating small and medium towers. AMSA, Inc.™ is committed to providing the cooling water industry with effective and economical tools to improve operating efficiencies while reducing costs. We are committed to the cost effective and green manufacture of DTEA II™ based chemical formulations. We will provide leadership in the application of ATP analysis technologies in markets such as industrial cooling water and other water-based processes by providing affordable and sensitive ATP instruments and sampling devices. With a strong foundation in research and development, we will meet our customers increasing needs for effective products and technical support.